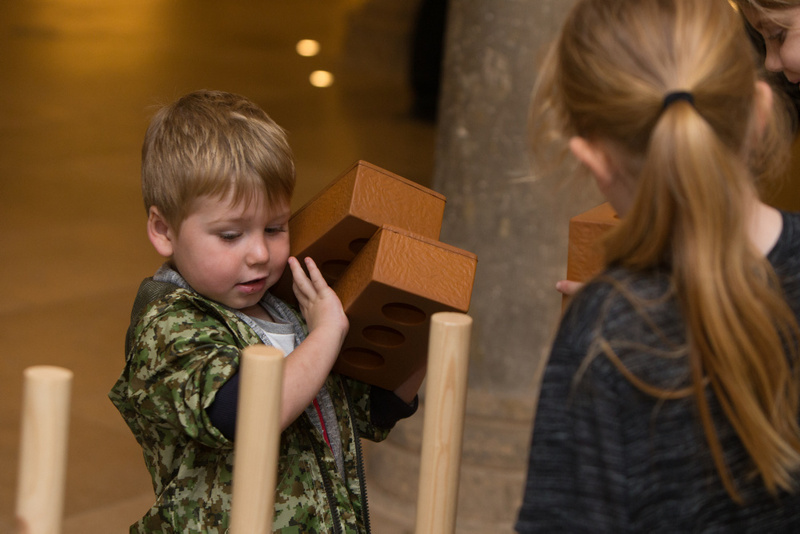 Children helped celebrate the opening of a major exhibition in the best way possible – by learning through play. 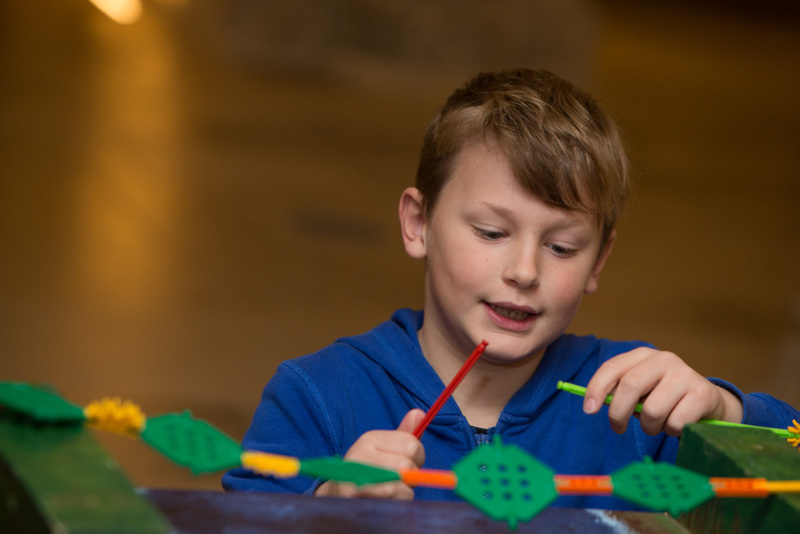 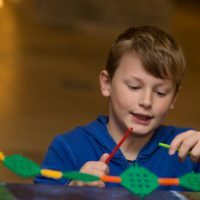 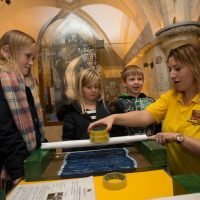 Bridge Works is a new exhibition that shares more than 2,000 years of history, and it was opened with a day of fun family activities. 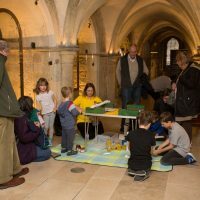 Telling the story of the crossings that have helped shape the Medway area, the exhibition includes historical artefacts and activities for children, proving history can be interesting to all. 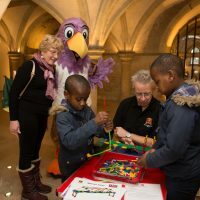 Education Officer Caroline Chisholm explained: “While this is very much a history exhibition we were also keen to make it accessible to young people, because we want to inspire their imaginations and encourage them to take an interest in both the history of the area and the potential of building bridges as a career. 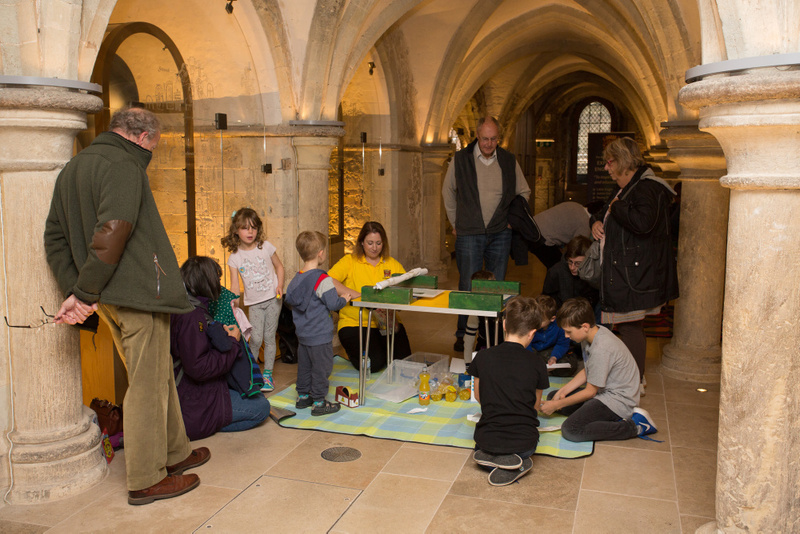 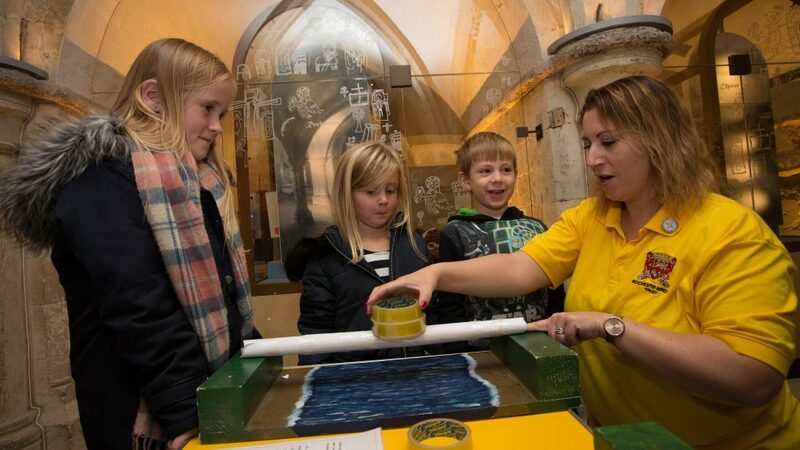 The main exhibition is housed in the crypt of Rochester Cathedral, taking visitors through the ages as they follow the changing shape of Rochester’s bridges. 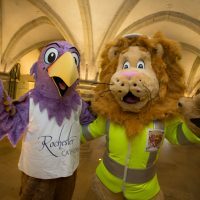 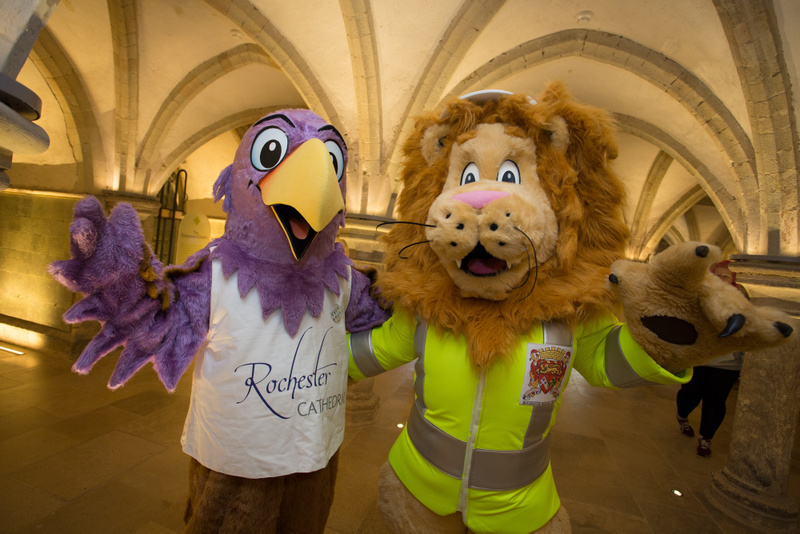 Across the hall, Langdon’s Den – home of education mascot Langdon the Lion – has a series of activities for children. 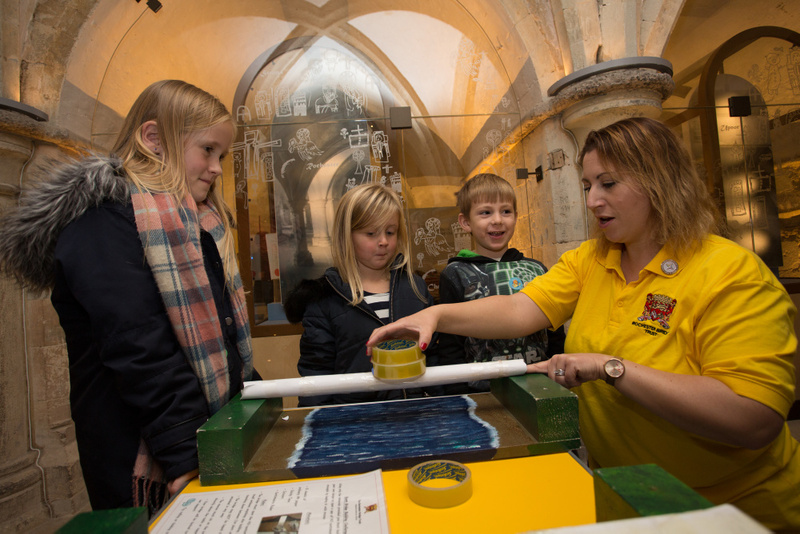 In addition to this, on the exhibition’s opening day a number of extra challenges were run by a team of volunteers. 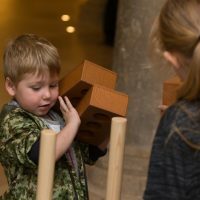 Children got to create bridges from a variety of kits and materials, build with bricks and pose for photos as engineers. 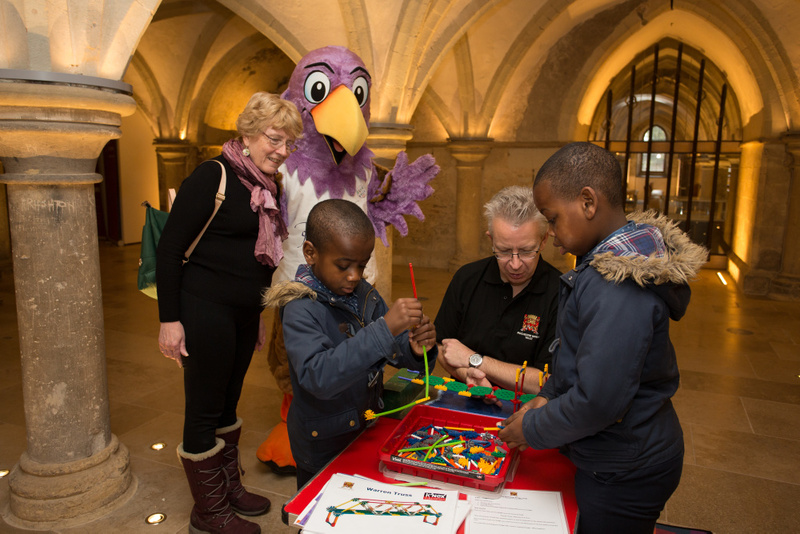 Another family fun day will be held on Tuesday, 13th February.